When on slightly peaty ground, (i.e loamy forest rather than very peaty heath) is there any possible safe way to light and tend a small fire? I'd envisaged scraping away the top soil, dousing below with water, then making a large bed of rocks with a mat of sticks/logs on top to raise the fire away from the ground. Does anyone have any other suggestions? Obviously, if this isn't safe I won't use a fire, and will instead increase pack weight and carry a stove. Thanks! Lightweight stoves are preferred over campfires, but it is still important to know how to make a leave no trace campfire when the occasion calls for it (run out of fuel too soon, stove failure, etc.). I think a mound fire would be best in this situation. 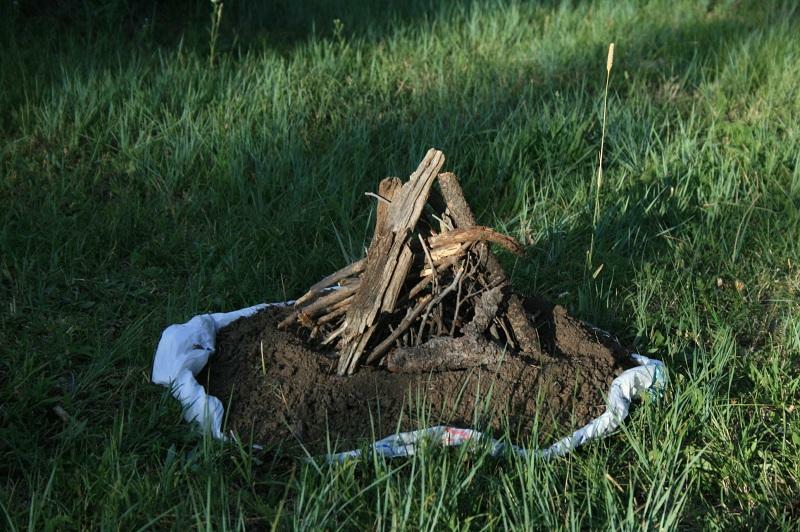 Lay a sheet on the ground and pile a mound of dirt on top of it (get your dirt from a previously disturbed source, like the root pit of a fallen tree, or a mound next to a critter hole), and light your fire on top of the dirt pile. The dirt will insulate the ground from the heat, and when you're done, you can simply gather up the dirt pile in the sheet you laid down and return it to where you collected it from. Do it right and there should be no indication that you had a fire at all. View the Leave No Trace Principles: Minimize Campfire Impacts page to learn several different methods for building a leave no trace campfire. Not the answer you're looking for? Browse other questions tagged camping fire or ask your own question. Is campfire smoke safe for inhalation and cooking? What materials are suitable for constructing a sleeping mat?